This concept has really been on my mind lately. I've put off writing this because some of the things I'm going to say may not be popular or make me popular. But I feel like it needs to be said. Before I became a blogger, I really had no clue how much work went on behind the scenes. Initially, I really just thought people wrote a post, hit publish and then people came and read it. Easy peasy. But that is so totally not the case at all! As a new blogger, everyone will tell you to promote, promote, promote until you can't do it anymore. And then do it again the next day. This is your business now and you have got to get your name out there. Facebook groups, Pinterest group boards, Instagram pods. The list goes on and on. As more and more people turn to blogging and running online businesses, it can be hard to stand out in a sea of big fish. Especially when you feel like a tiny little shrimp in a gigantic ocean. If your sole purpose in blogging is to be the best, have the biggest name, and make the most profit, then go right ahead. But if you starting blogging because you wanted to make a difference, get your thoughts/ideas out there, and maybe make a little income to help out, don't sell yourself out. I do think those type of round up post are helpful for some, but I don't really want to do one to be sales-y. I recently did my first year as an affiliate for Ultimate Bundles. It was full of really great products for an amazing price. I sent out a couple emails and wrote a blog post on it. But you know what? It made me uncomfortable. I ended up deleting the blog post. I've had a few people email me saying the link isn't working. Nope, it's not. Because it's no longer there. While I'm all for promoting things that I LOVE, this blog's sole purpose isn't to make money. While it's really nice and really helpful for our one income family, I'm not a sales person. And I don't want to be one. So yes, I will still have affiliate links and Pinterest pins to things I'm using in my SAHM journey that I think you guys will love too, but I just want to be real here. I don't like being made to feel like I'm being sold to for the sole purpose of making a buck. I have unfollowed a ton of bloggers who started out fairly genuine, made a little income, and all of a sudden do nothing but sell something in every single blog post and email they crank out. I don't want to become that. So my humble little blog about being a semi-crunchy, want to be organized SAHM will continue on giving you my best tips and tricks, my heartfelt struggles in motherhood, and my semi-crunchy lifestyle. I'll still give you my honest opinion on things that I am actually using and that won't change. Because being on the other end and reading other blogs, I really do appreciate the advice when I'm looking for it. But I kid you not, I have been known to X out of a blogger's website and unsubscribe to their email list when it's nothing but pitch after pitch after pitch of a product. (Unless it's their own product of their own work. I really appreciate those that are genuine because they really can be sooo helpful!). I am all for it as a blogger. Why? Because I used to be on the other end of the blog post clicking over to Amazon and buying a baby product that someone recommended on their blog while I was awake at 3am nursing a newborn. I appreciated bloggers who wrote about things they absolutely loved and found completely useful in their journey. But you know what I always hated as a reader? Clicking through a pin on Pinterest to a blog post I thought was going to help me with an issue I was having only to read the most obnoxious blog post about a sponsored product. If you're going to write affiliate/sponsored content, remember to keep it real. The problem was that I had only ever done a blog post based solely on an affiliate one other time for Plant Therapy. The difference in the two posts was that I wrote a whole blog post about them with my own experiences, my own thoughts and my own photos. I will say there is a learning curve to being an Ultimate Bundles affiliate and I signed up as an affiliate a few weeks before the Bundle went live. With time running low before the sale was about to start, I did something I regret. They have sales copies available to you that you can use and edit. While I did edit the sales copy, it was FAR from my usual voice as a blogger. I posted the post and while it did well as far as views go, it tanked as far as how long people stayed on the page. Why? Because it wasn't me. It wasn't my voice. It was a sales person voice with a few of my own thoughts. So what did I do? That's right. While that post had the potential to bring in a lot of affiliate income due to the product's popularity, I just couldn't leave it up on my site. It wasn't my voice and my readers new it. People coming to my site for the first time probably knew it and I know if I was them, I wouldn't necessarily come back knowingly to my blog after reading it. I stepped back and took a long, hard look at my blogging journey and decided this was not the route I wanted to take. It works for some bloggers and that's totally great. But I'm betting no matter how much you want to make a side or full time income, at least part of you wanted to start a blog for a lot more than just money. That's where you have to decide where you want to go. Do you work hard and use your own creative voice to not only try and help make someone's life better/easier with what you are promoting or do you sell yourself out in order to attempt to make a buck? When the Homemaking Bundle went live, I sent out a few emails about it as well with the sales copy provided. And guess what? I got my first unsubscribers to my email list from them. Ouch. I had never had an unsubscriber before. It was hard to log into my email provider and see a list of people, who had been on my list for a long time, unsubscribe. People who had opened every email I've sent out until that point. That's when I knew this wasn't who I wanted to be. After I sent out the email I mentioned in the beginning of this post (mostly after mulling over what had transpired and my unsubscribers), I did hear back from quite a few people that took it as I was no longer going to share anything related to products with them and did not like that. While it's totally not the case, I do know that I won't go about it the way I did a few weeks ago. If I've learned anything from some of the blogging Facebook groups I'm in, it's that it's hard in the beginning to feel like your voice is being heard. There's so much noise out there that you feel like a tiny little mouse without much to say. I'm going to tell you I have read the blog posts of newer bloggers that join a blogging group I am in and I am blown away at their content. Their writing is spot on, they have amazing things to say and you just love how down to earth they are. But they feel small and like their voice isn't being heard. While blogging is a learning curve, some people are great writers and others need a little work. When you're a great writer, learning the technical ends and outs of blogging will eventually bump your traffic and get your content out there. But when you start to sell out here and there, you eventually become a voice no one wants to hear anymore. It's ok to promote products. But don't become the stereotypical "used car salesman" to try and push people into looking at the product (and hopefully buying) that you are promoting. You see newer bloggers all the time in groups wondering why they aren't making money with their affiliates. While traffic to your site has some impact on that, I truly believe it's your voice as well. If you genuinely love a product and promote it in that voice, people are going to listen. Trust me, I tried a ton of things based on other's blog posts and been happy with most of them. In the end, if you want people to take you seriously as a blogger and influencer, you have to be authentic. People will see right through you the moment you step over the line and become a salesperson. Some people like that, but majority just don't. 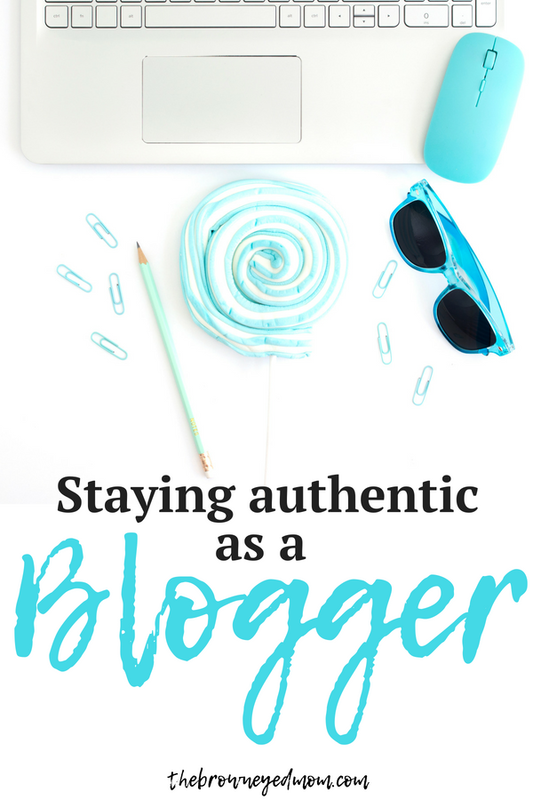 Are you trying to stay authentic as a blogger? How do you promote products without selling out? 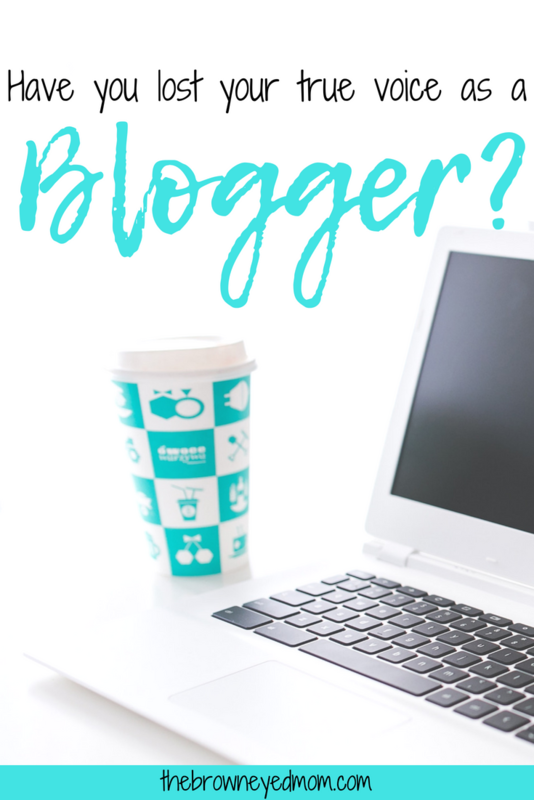 Sign up for my email list below and get a free Weekly Blogging Checklist!